To see a breakdown by county, click here. 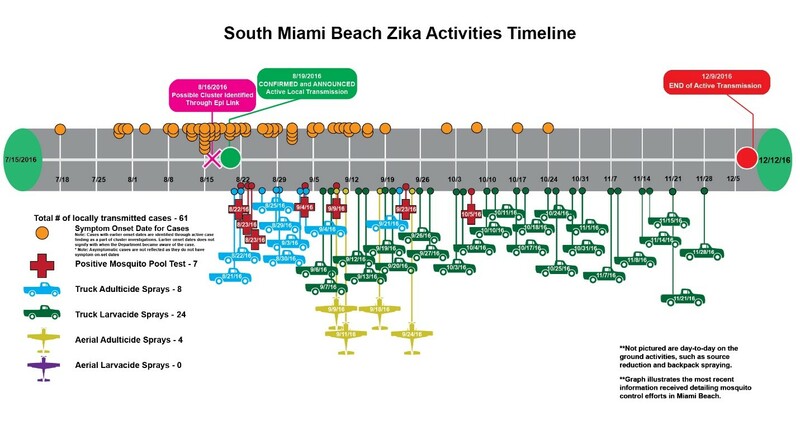 Governor Rick Scott announced on Friday, December 9th that the department has cleared the Miami Beach area of ongoing, active Zika transmission. The newly cleared area is about 1.5 square miles between 8th and 28th streets. 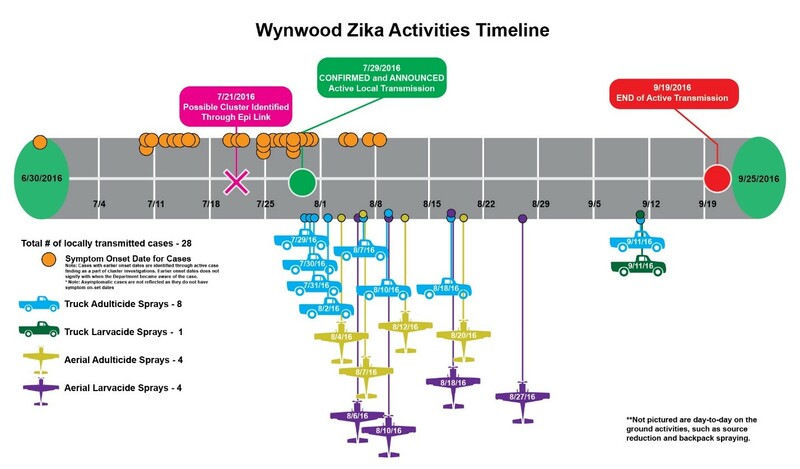 There are no areas of ongoing, active transmission of Zika by mosquitoes in Florida. 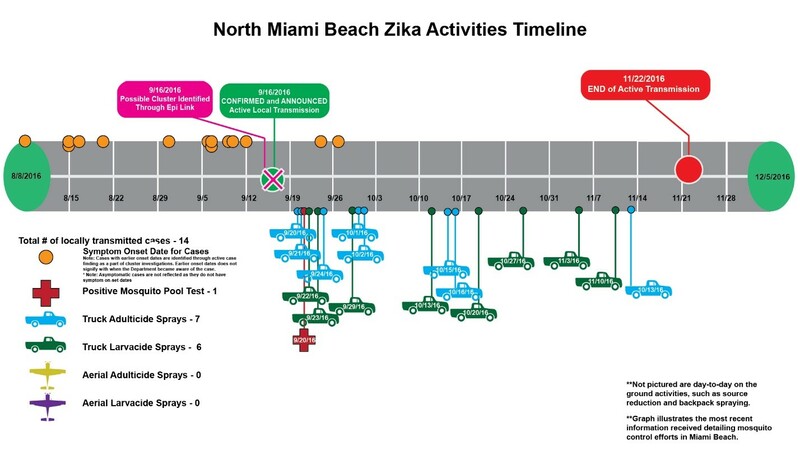 All previous Zika zones in the following areas of Miami-Dade County have been lifted after 45 days with no evidence of active transmission and no additional people infected. It is not uncommon, however, for there to be isolated incidents of locally acquired Zika. The department continues to closely monitor the status of Zika virus in Florida and take action to keep Floridians, especially pregnant women, safe. If the department identifies any areas of concern, the public and the media will be notified. The department advises residents and visitors to Miami-Dade County to remain vigilant about mosquito bite protection by draining all sources of standing water to keep mosquitoes from breeding and wearing bug repellent.